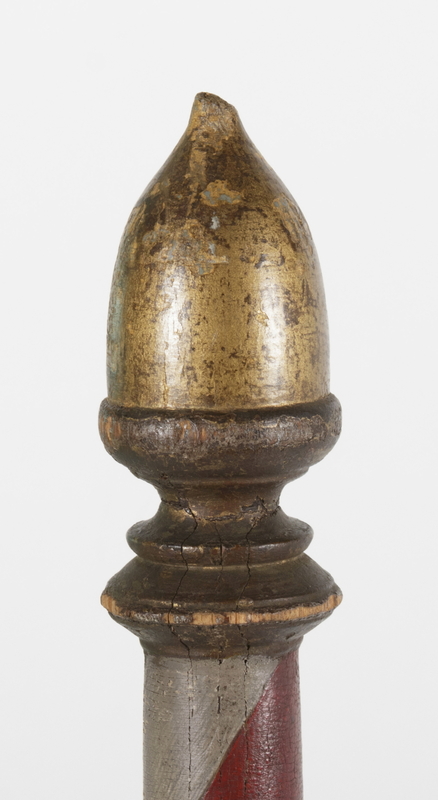 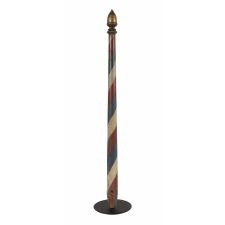 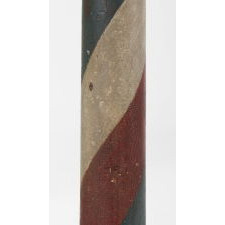 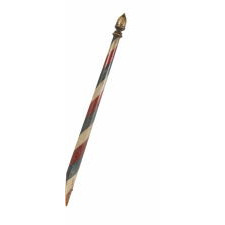 American barber pole, made of turned wood, with a narrow, gently tapering staff, terminating with a banister turning and a graceful acorn finial. 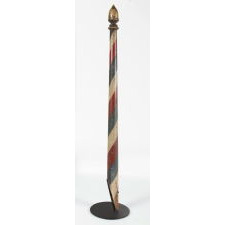 The original canted form, made to be mounted on a wall at an angle, is unusual and adds visual pleasure to this mid-19th century object, decorated in red, white, blue, and gold. 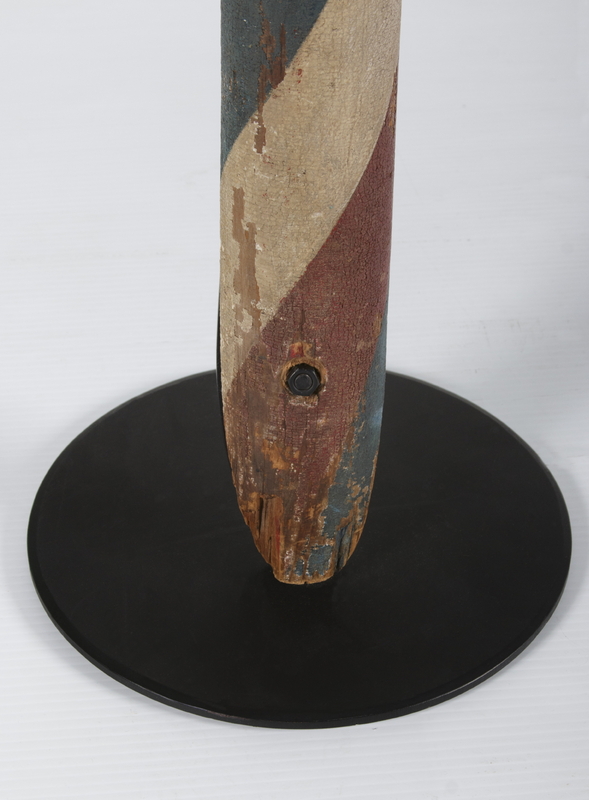 Perhaps the best feature is the early painted surface, with has especially appealing craquelure that lends to its aged patina. 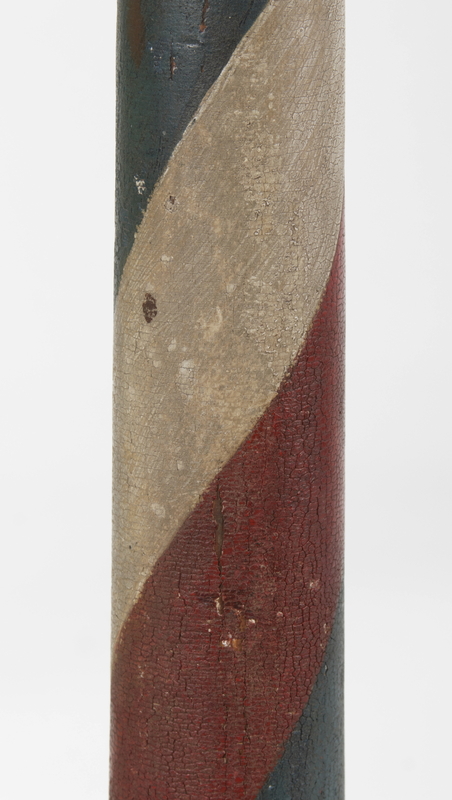 There appears to be some in-service paint, but it’s early and the surface is exceptional. 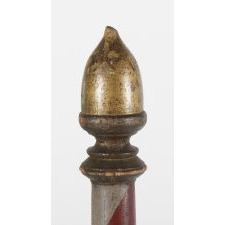 Condition: Minor losses consistent with age and use. 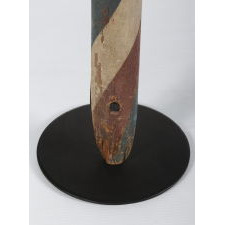 Mount: A black-painted, iron mount was made so that the pole can be displayed upright on a flat surface, but I prefer to mount it on the wall in its originally intended position, which is quite dramatic.